THE PICKIEST EATER IN THE WORLD: THE PICKIEST EATER BITES: THE KTG AT EDSA SHANGRI-LA HEAT - MAD FOR WAGYU NIGHT! THE PICKIEST EATER BITES: THE KTG AT EDSA SHANGRI-LA HEAT - MAD FOR WAGYU NIGHT! Greetings! First off, I want to thank all of you for your support with The Pickiest Eater Web Series. The reception has been uncanny and there have been some developments that I can't share just yet, but once everything is final, I will announce it on my blog immediately! As you may or may not have noticed, there was a rather wide gap between Episode 1 and Episode 2. That was mainly because of my family opening a business in which I have been tasked to handle marketing duties, and the sheer volume of work that needed to be done by a skeletal crew was a bit daunting. With the sheer work that needs to be done, such as Color Grading, 2D Graphics and stuff, my partner Mark at Muvo Media and I realized that we would not be able to sustain The Pickiest Eater Web Series into a twice a month schedule like we had intended, especially since we decided to go for a Food Network Show quality. What we decided to do was try to make a smaller scale series that was more manageable to come up with at least twice a week, giving enough time to whet the appetites of my readers while waiting for the next episode of the Web Series. This is The Pickiest Eater Bites. 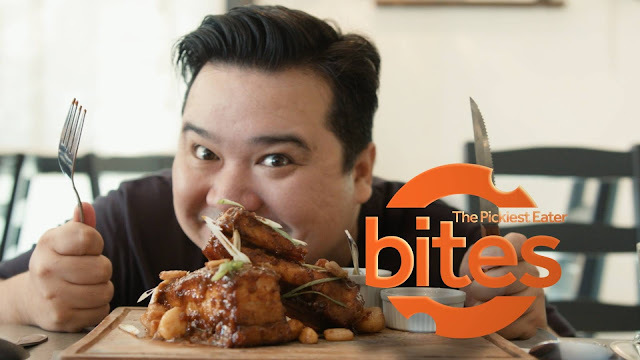 If The Pickiest Eater Web Series is a Food Network Show, The Pickiest Eater Bites stays true to its YouTube roots as an unpolished "Video Blog" that gives my readers a chance to get to know me on a more intimate level. What's going to make this even more fun is that I intend to have some of my friends from my food blogging group, "The Kain Tulog Gang" (aka The KTG) as my guests! This is a great way for you to meet some of the food bloggers that you may have been following when scouring the net looking for places to eat! My "First Bite" Takes you to the Christmas Party of The KTG, which was held at Heat, care of our friends at Edsa Shangri-la Hotel. This was so we could try their incredible Mad For Wagyu Night! Special Thanks to Justinne Go, Spanky Enriquez, Jane Chua and Anton Diaz for their Participation. 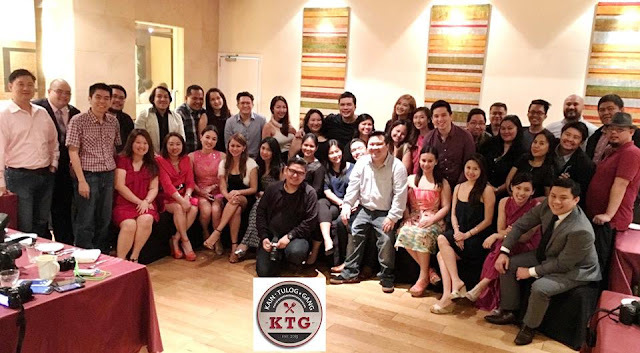 A special shout out of gratitude to Chef Tobias Unger and Aimee Lagman for their gracious hospitality! Edsa Shangri-la's Mad for Wagyu Night happens very Saturday night at Heat, and costs P2,415 nett per person!